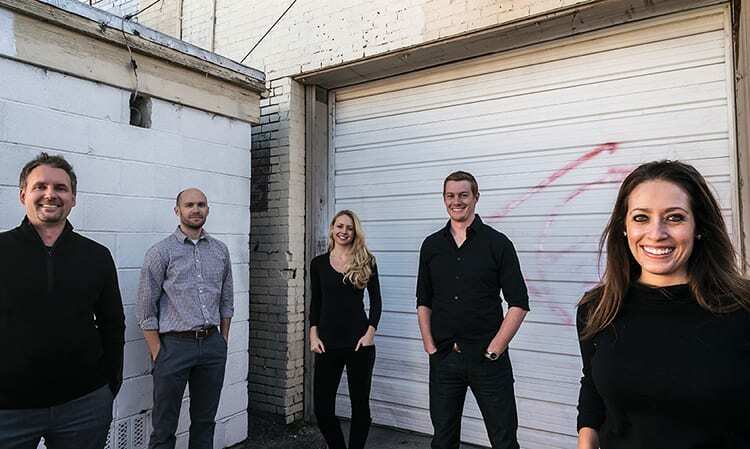 From left to right, TSA members include Brad Tomecek, Kevin Sietmann, Brittany Wheeler, Brian Martin and Christa Tomecek. Denver architect Brad Tomecek, AIA, LEED BC+D, rethinks the art of building with every project. His zest for alternative technologies has created striking spaces and helped earn his firm a 2015 Honor Award for Innovative Practice from AIA Colorado. As a youngster, Brad Tomecek’s design aspirations ran to forts, treehouses or any other imagined edifice he could make real by drawing or building. His materials and tools have since evolved and include an affinity for shipping containers, modular boxes, 3-D modeling, 12-foot rolls of canary tracing paper, Sharpies, chipboard, basswood, corrugated cardboard and sophisticated design software. His imagination and creative perspective continue to expand, fueled by an enduring fascination with the artistic transformation of space and the power of collective thought. “Even as a kid, the notion that I could envision and realize an object, space or place was fascinating to me. Now the idea that we take unique client needs, with very different real-world requirements, and brainstorm together through what sometimes feels like organized chaos to create a specific solution is what keeps me interested in this profession,” explains Tomecek, who established the award-winning Tomecek Studio Architecture in 2013, after working for top firms in Denver and his native Florida. His experience spans both residential and commercial design – with a commercial focus to date on restaurants, a performing arts venue, an architecture and signage project for a master-planned community, and the redesign of small and corporate office spaces. Tomecek is a dedicated believer in architecture’s ability to impact the quality of life for those who use it. He is a lover of place, which architecture achieves by giving space a reason to exist beyond its physical nature. Therefore, no two projects are ever the same, he says. The firm’s mission mantra when launching a new job is first to “stop, look and listen,” then base actions on those critical observations. Tomecek expresses the firm’s guiding philosophy through artfully simple equations: client+architect+task+place and think : make. As a result, he has received dozens of awards from the American Institute of Architects’ state and regional chapters and recognition in scores of books, top industry magazines and design blogs. In 2012, Tomecek was tapped, with 14 of his peers from around the country, for AIA’s prestigious Young Architect of the Year award. In addition to his design talent, Tomecek was honored for his volunteer contributions to community nonprofits – such as Habitat for Humanity, Feed Denver and the Special Olympics – and teaching architecture students at the University of Colorado. Despite the challenges of running an in-demand design studio and traveling the country making presentations, teaching is one of Tomecek’s biggest labors of love. “As an architect, you strive to stay true to project concepts and not lose the soul of the work through the process. I decided to teach because I wanted to keep exploring and never lose sight of that belief. Once I started, it became very clear that for me, teaching is soul-feeding,” he explains. It’s a 360-degree experience that gives back as much or more than he invests in it, Tomecek says. That spirit of exploration and discovery underlies all TSA projects, which Tomecek insists must be individually and “situationally responsive.” Looking at “how to build” every job by studying a wide variety of options opens every predesign conversation, Tomecek says. Studio H:T Architecture, with Tomecek as principal-in-charge, preserved the original brick building of the Sign Shop in Denver’s Highlands neighborhood, while creating new, contemporary, light-flooded space over the existing building. The new addition features two arcs, one oriented to the neighborhood and the other toward downtown Denver. As the firm’s recent AIA Colorado innovation award suggests, TSA is broadly open-minded about new construction technology and eagerly applies it when it’s a solid fit with project and client needs. In what Tomecek called TSA’s “own little revolution,” the firm has delved into creating built works using modular prefabrication with structural insulated panels, shipping containers, wood-frame modular boxes and German eco-panels. Tomecek’s own home, nestled on a 40-foot-wide Highlands lot, consists of two giant stacked boxes that were fabricated in North Denver in about three weeks and craned into place over the foundation in some four hours. It’s a LEED certified “stack-slide-stitch” home. However, Tomecek said new construction technologies must be assessed, like any other, against project objectives. He receives almost daily inquiries from potential clients who want prefabricated buildings, but it may or may not be the best solution. For example, Tomecek said he actively counseled against one client’s plan to build a house from 22 shipping containers, due to the astronomical expense of converting them to the client’s vision. “We aren’t looking to push any specific strategy but to marry the right strategy with unique sites and client goals,” Tomecek stresses. As an example from the opposite end of the technology spectrum, Tomecek led his University of Colorado architecture students in a design-build project created with donated, recycled and salvaged materials, such as crushed runway concrete from the old Lowry Air Force Base. The project allowed Tomecek to engage students in the potential and practicality of sustainable design, which he believes is his industry’s occupational duty to champion. “Architects and design professionals bear a great responsibility to the earth and future generations for the sustainable design of new and rehabilitated buildings,” he explains. As for TSA’s most significant work to date? Each space has its own distinctions, Tomecek says. “Our most significant projects come in different shapes and sizes, be it a residence designed solely for how light enters the dwelling during the day, to a custom-designed mountain home, to a prefab systems study we’re working on now with Wyndham Resorts,” he noted. 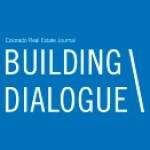 When asked his opinion on how Denver’s current thriving economy and concurrent building boom might ultimately influence the city’s built environment, Tomecek is thoughtfully optimistic.